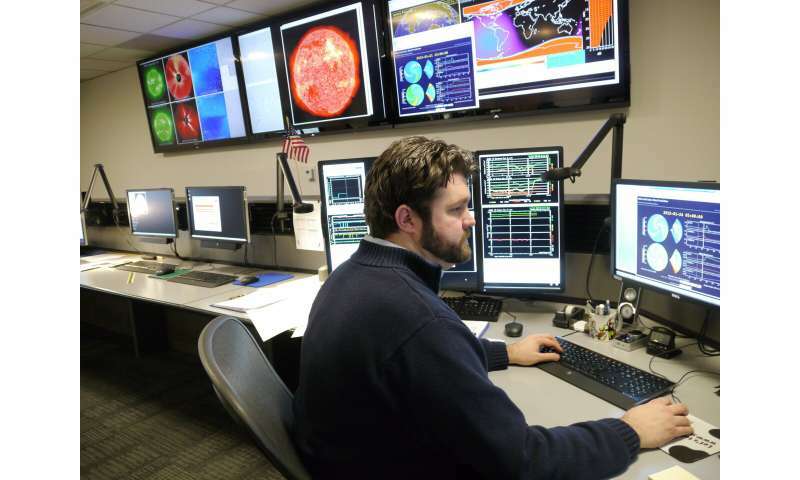 Scientists charged with predicting the sun's activity for the next 11-year solar cycle say that it's likely to be weak, much like the current one. The current solar cycle, Cycle 24, is declining and predicted to reach solar minimum—the period when the sun is least active—late in 2019 or 2020. "We expect Solar Cycle 25 will be very similar to Cycle 24: another fairly weak cycle, preceded by a long, deep minimum," said panel co-chair Lisa Upton, Ph.D., solar physicist with Space Systems Research Corp. "The expectation that Cycle 25 will be comparable in size to Cycle 24 means that the steady decline in solar cycle amplitude, seen from cycles 21-24, has come to an end and that there is no indication that we are currently approaching a Maunder-type minimum in solar activity." 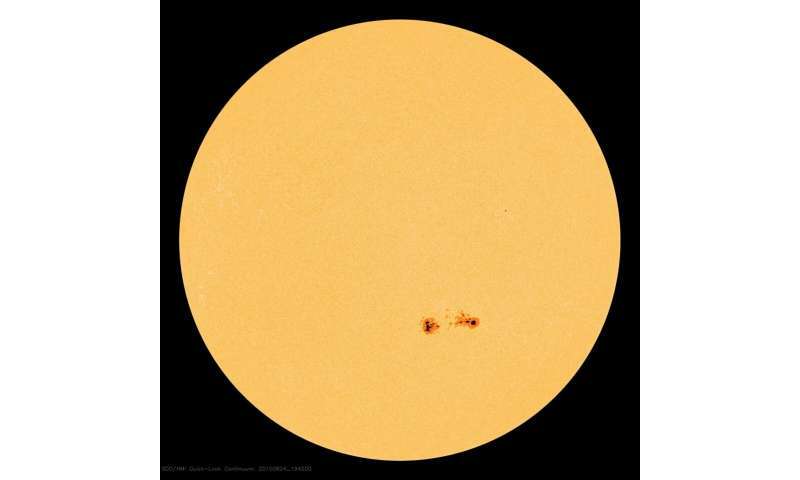 Solar Cycle 24 reached its maximum—the period when the sun is most active—in April 2014 with a peak average of 82 sunspots. The sun's Northern Hemisphere led the sunspot cycle, peaking over two years ahead of the Southern Hemisphere sunspot peak. 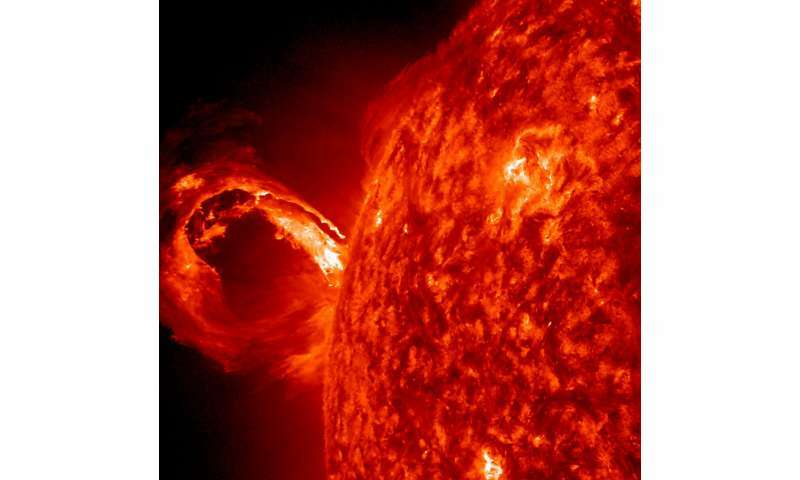 "While we are not predicting a particularly active Solar Cycle 25, violent eruptions from the sun can occur at any time," said Doug Biesecker, Ph.D., panel co-chair and a solar physicist at NOAA's Space Weather Prediction Center. An example of this occurred on July 23, 2012 when a powerful coronal mass ejection (CME) eruption missed the Earth but enveloped NASA's STEREO-A satellite. A 2013 study estimated that the U.S. would have suffered between $600 billion and $2.6 trillion in damages, particularly to electrical infrastructure, such as power grid, if this CME had been directed toward Earth. The strength of the 2012 eruption was comparable to the famous 1859 Carrington event that caused widespread damage to telegraph stations around the world and produced aurora displays as far south as the Caribbean. Upside, a decadal-ish 'Solar Cycle', actually half a 22-ish year full-cycle, is short enough that we should see a significant trend fairly soon. And temperatures will continue to fall, AGW was short lived to say the least. And the prolific AGWoowoo mobs will find a way to keep AGW in the public's face, even if Earth turns cold. GOP? Do you mean the American Republican Party? But we thought you were Australian, RC. And here you are vilifying the Republicans. Do you also dislike Trump? Please stick to tenable/reasonable facts in reality and eschew being a troll for the Russian/GOP/Fossil 'mafia' exploiting you as one of their 'weaponised stupids' which have been helping dividing America and delaying urgent climate change action. Good luck to us all. History tells it was GOP (and their donors/mates in the fossil fuel/mining industries), that made CO2 science into a 'political football' for cynical political motives; and to delay climate change action, to protect 'dirty profits' at expense of polluting/poisoning and damaging future sustainability/climate. So it's not a question of 'dislike', but a point of historical facts; and reasons for exposing/deploring their character and the lies/crimes they have been perpetrating against ALL...US and Global community (like Big Tobacco did).